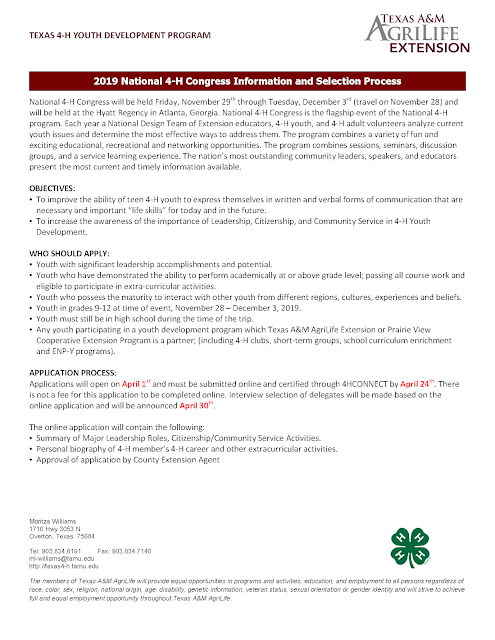 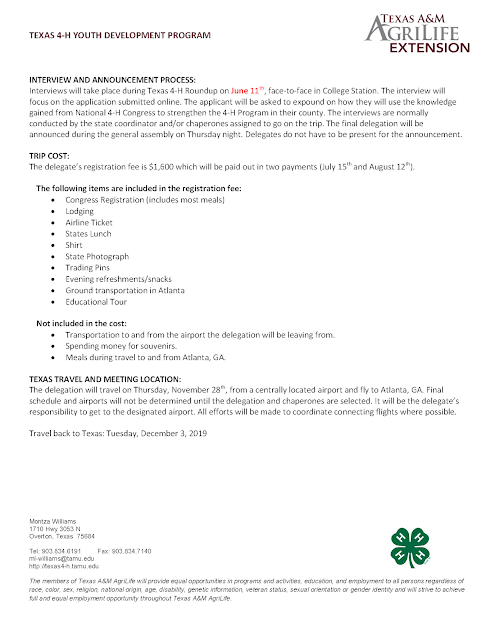 Please see the released information regarding the 2019 National 4-H Congress. Applications are due online via 4-H CONNECT by Wednesday, April 24th. Please let us know if you have any questions!